2019 Annual Meeting / Register Today! The Local Section Workshop is open to any section volunteer – officer, committee chair, etc. – looking to network with other volunteers, learn ways to strengthen their local section and gain a deeper understanding of the American Nuclear Society. You only need to pay the registration fees for the ANS Annual Meting if you are attending the technical sessions and events. Volunteers of a section can register for the Local Section Workshop for free by selecting “Committee Only” on the registration form. We value your contributions as a volunteer and want to help you and your section succeed. The workshop will provide you with additional information to help you make the most of your time as a section volunteer. Remember – it’s not only what you know, it’s who you know! You’ll have the opportunity to learn and share best practices with your colleagues from across the U.S. and abroad. The Society is only as strong as its volunteers and its members. Help ensure the growth of YOUR professional association by providing a solid role in your section’s future. Make sure your section is represented! It’s not too early to discuss this workshop with your section executive committee and determine who will attend. The Idaho National Laboratory and the Idaho Section American Nuclear Society were host to over 100 K-12 students at their 2nd annual STEM at the Museum. This day-long event shows “future STEM leaders” how exciting science curriculum can be and how it is used in possible careers. In celebration of National Nuclear Science Week 2018, scouts from 6 troops in the Twin River Council participated in the Nuclear Science Merit Badge camp at Rensselaer Polytechnic Institute. The program, sponsored by the ANS Northeastern New York Section, was held October 13, 2018 on the RPI campus in Troy and October 24 at the Walthousen Reactor Critical Facility in Schenectady. 19 scouts successfully completed all of the requirements of the merit badge. Special thanks to the Department of Physics, Applied Physics, and Astronomy at RPI to provide the facilities for the class and the RPI Student Section of ANS to provide support at the event. Boy Scouts from the mid-south were invited to River Bend to participate in the Nuclear Science Merit Badge Workshop on Oct. 6. 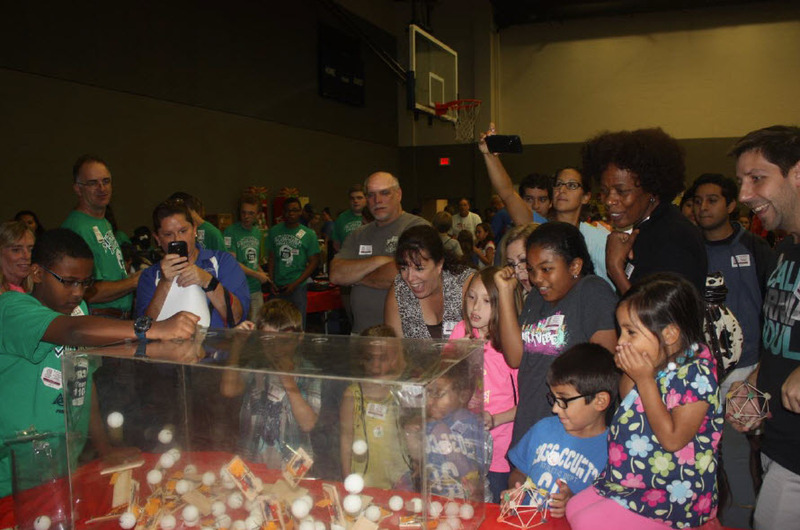 The Boy Scouts used ping pong balls to see how a chain reaction was made. The mayhem that followed demonstrated a nuclear chain reaction, one of many practical exercises for boy scouts from local troops to gain their Nuclear Science Merit badges. “61 Scouts earned their Nuclear Science Merit Badge on Saturday, including the opportunity to see how an actual nuclear power plant works by watching a Control Room Training Simulator demonstration. This was a great opportunity for them to learn about the fascinating field of atomic science as well as the critical role nuclear energy plays in reducing greenhouse gas emissions,” said Paul Sicard, Engineer, RBS and organizer of the event. Volunteers of RBS ranged from electrical engineers to simulator operators. Organizations including ANS Louisiana Local Section and North American Young Generation in Nuclear were present to help. “During the ride home afterward, the three Scout riding with me all said that they learned something new during the workshop, which for me as a leader and parent is what I’m looking for when they take a merit badge class,” said Gary Scronce, Assistant Scoutmaster, Troop 66, New Roads, LA. 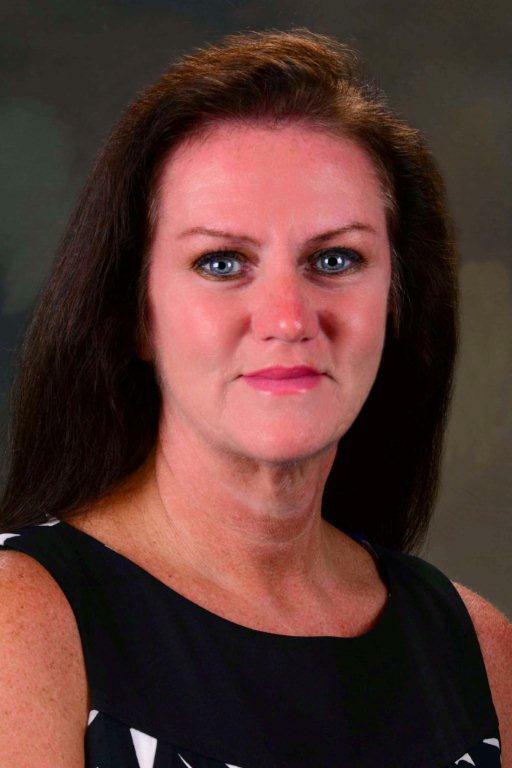 The first joint meeting between the Savannah River Section of the American Nuclear Society and Citizens for Nuclear Technology Awareness featured a nationally recognized speaker and put the state of America’s nuclear power industry on display. 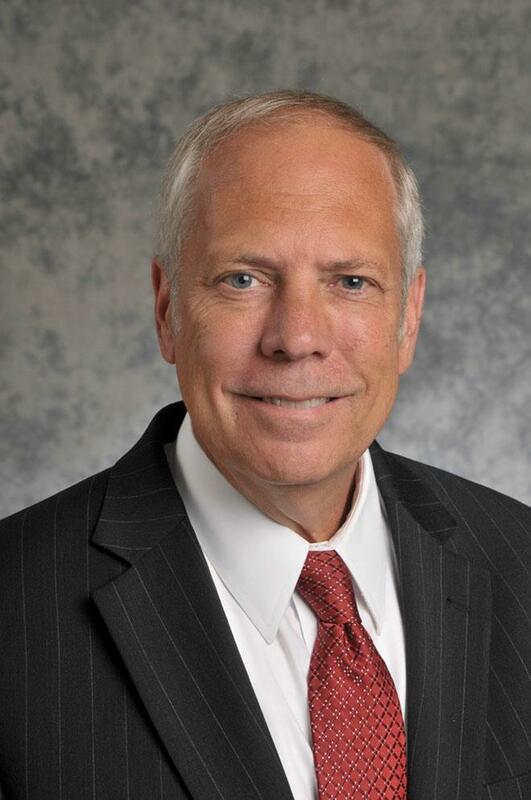 Dr. Andrew Klein, president of the American Nuclear Society and professor at Oregon State University, spoke to the group in North Augusta Thursday evening, focusing on progress and promotion of nuclear technology and understanding. He advocated building newer, more efficient plants while ensuring current ones are kept running and are maintained to the highest standards. “There are four nuclear power plants being built between Georgia and South Carolina and they’re important to what’s coming next,” Klein said. The Savannah River Local Section again supported the Science Education Enrichment Day (SEED) Day program at USC Aiken on October 1, 2015. We had another successful SEED this year even with the rain in the morning. Started great with getting out of the car in the rain and stepping into a deep puddle to get my shoes wet. Better after that. We had a great volunteer effort with Karmen McClain, Fred Pilot holding down the fission chamber with no lost time accidents. We did have a few unplanned criticalities. These can be used as a form of advertisement as it sends ping pong balls about 30 feet into the crowd. Dan Thomas handled the radiation exhibit and the nuclear power presentation all day long. Mary Mewborn took some pictures and brightened the party. Brent Bland and Alex Deng supported us and did a fine job. I would guess that we spoke directly to over 300 students and their parents. We all look forward to at least one interaction with the students where I feel we make an impact. One student about 8 years old took the survey meter and scanned the sources quietly. I told him to turn the probe over and see the response. It went down. I asked him what he thought had happened. He said less radiation was getting thru. I asked why. He says in a quiet voice, “this side has no holes”. It is solid. The other side has holes in it so the radiation can come thru. So then I explained the difference between beta and gamma radiation. He understood and smiled. 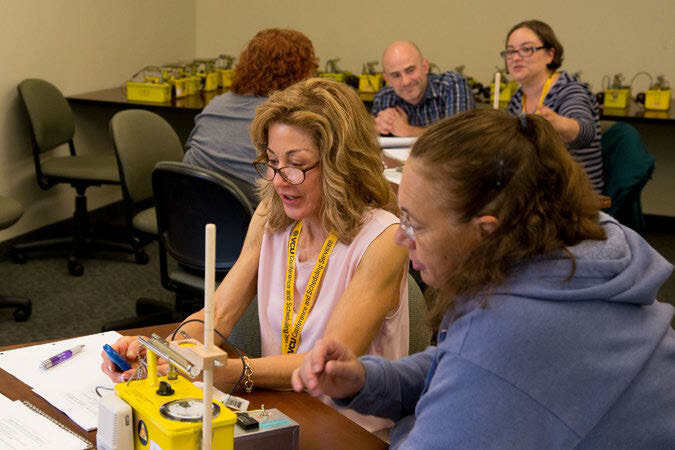 Virginia Commonwealth University hosted 21 middle and high school math and science teachers at its 10th annual multi-day science teacher workshop, held July 11–15. Titled “The Science of Nuclear Energy and Radiation,” the workshop was organized by the ANS Virginia Local Section and the Virginia chapters of the HPS and NAYGN. Sama Bilbao y León, an ANS member and associate professor and director of nuclear engineering programs at VCU, served as the lead organizer of the workshop, and several other members of the ANS Virginia Section volunteered their time, including keynote speakers Eugene Grecheck— ANS’s immediate past president—and Carol Berrigan, who currently serves on the ANS Board of Directors. The teachers received instruction, room and board, and teaching materials to take home, including Geiger counters. In addition to lectures, discussions, and hands-on activities, the workshop included tours of VCU’s nuclear medicine facilities and Dominion’s North Anna nuclear power station. Those teachers who completed pre- and post-workshop assignments and passed a final exam earned four continuing education units through the VCU Office of Continuing Studies. Please click on the link to register for the webinar.